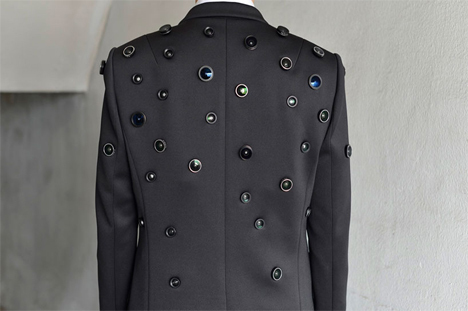 As far as personal security goes, wearing a suit of surveillance cameras might just be taking things a little too far. But Seoul-based collective Shinseungback Kimyonghun have created exactly that, and they call it the Aposematic Jacket. The designers liken the jacket to an animal’s bright coloring which screams to predators that they shouldn’t mess with that potential prey. 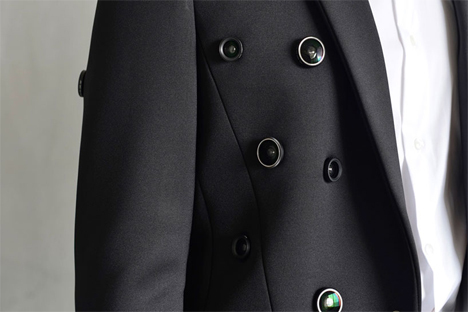 The jacket tells nearby people that they can and will be recorded, which tends to be a successful deterrent to crime. 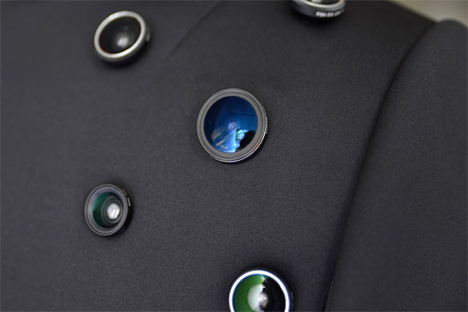 With the push of a button, the tiny cameras and their lenses on the garment record in 360 degrees and immediately send the images online. The program or app associated with the jacket could presumably notify a friend, family member, or the authorities to the danger. Alternatively, the images could simply be stored for use later in identifying attackers. If nothing else, the jacket could be used for some positively fascinating (and creepy) people-watching on the train or bus.